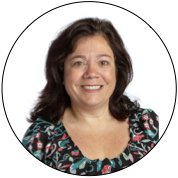 Mrs. Centineo joined SAA in 2012 and currently teaches Language Arts to students in third through fifth grade, and serves as the school's Social and Emotional Learning (SEL) Coach. As SEL Coach, she ensures that SEL best practices are integrated into classrooms and family partnerships. SEL enhances students' capacity to integrate skills, attitudes, and behaviors to deal effectively and ethically with daily tasks and challenges. By providing targeted resources and coaching for teachers, she helps identify the SEL needs in their classrooms and assists in implementing SEL seamlessly across the curriculum. Tina also works closely with parents to establish a strong school-home SEL connection. Tina believes that Social Emotional Learning is the ground floor of education and that transformation happens when children start understanding their emotions, recognizing their strengths, becoming aware of the world around them, and building their relationships and responsible decision-making skills. As the creator of SELebrateYOU.com, she seeks to educate and empower parents and educators with SEL resources and inspiration. She is also the leader of PLES (Positive Learning Environment Student Task Force), guiding our students to spread kindness and positivity within our school and community. Mrs. Centineo holds a B.A. in Applied Behavior Science, a Masters of Arts in Elementary Education, and is currently pursuing Social Emotional Learning Leadership certificate through Rutgers University’s Department of Psychology. She is a member of both the National Association for Gifted Children and the National Council of Teachers of English.